Flock vinyl t-shirts provided for staff, and for retail on the day. 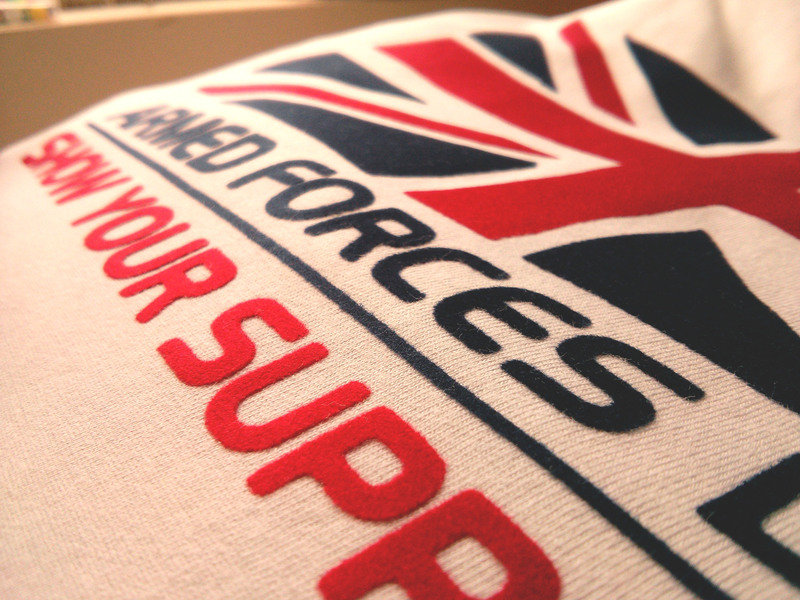 Our friends at the Veterans Contact Point had got in touch about printing their t-shirts for Armed Forces Day. We had provided t-shirts for them before, and they knew what they wanted; our speciality! Premium flock vinyl, on a heavy softstyle t-shirt. 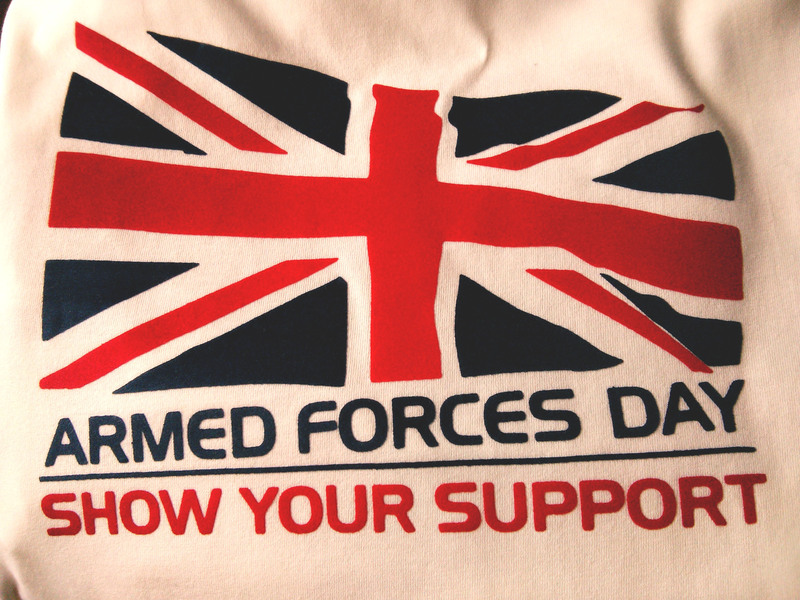 They provided the armed forces day logo as a JPEG file. We converted this to vector format, sent it to our cutter and provided a one-off a sample for them. We brought the sample to our consultation with them and they were delighted. We discussed the different options available- whether to print the logo on the back and have their own “Veterans Contact Point” logo on the front, or the other way around. In the end, we provided a batch of each variety they wanted. With screen printing this would involve multiple set-ups, but because vinyl is such a flexible print medium, and has such a small set up time, this was not a problem.